Cam Newton and the Carolina Panthers entered Thursday’s game against the Pittsburgh Steelers playing some pretty darn good football. They had won five of six games with Newton accounting for 12 touchdown passes and only three interceptions during that span. After Christian McCaffrey got Carolina on the board on its opening drive, it looked like much of the same for the road team. Unfortunately, things changed on a dime. JuJu Smith-Schuster put up a 75-yard touchdown on Pittsburgh’s first offensive play of the game. Then, 13 seconds later, Newton threw what has to be considered the worst pick-six of the NFL season. Facing pressure from T.J. Watt in his own end zone, the former NFL MVP tossed up a desperation pass. The pass was intercepted by linebacker Vince Williams and returned 17 yards for a touchdown.
.@_TJWatt pressures Cam and @VinnyVidiVici98 returns the interception to the HOUSE! 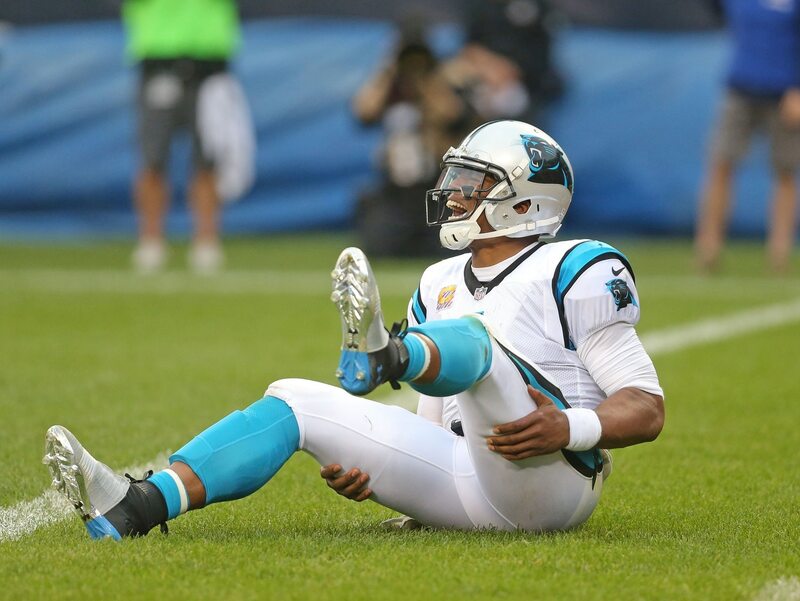 We’re not entirely too sure what Newton was doing here. Heck, we don’t think Cam had any idea what he was doing. Though, credit has to be given to Watt for the pressure. Newton should have taken a sack for a safety. But if it weren’t for said pressure, the Steelers wouldn’t have taken a 14-7 lead less than five minutes into the game.